Fate: Sold for scrap 10 JAN 1947 to Patapsco Scrap Co., Bethlehem, PA.
CL 13 Memphis departed Newport 24 April 1941 to take part in the neutrality patrol of the ocean triangle Trinidad‑Cape San Roque‑Cape Verde Islands, arriving Recife, Brazil, 10 May. 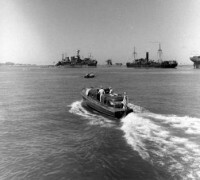 She continued operations in the South Atlantic for most of World War II. In March 1942 the ship escorted two Army transports in convoy to Ascension Island, where the Army’s 38th Engineer General Service Regiment debarked to construct an airport as staging point for planes flying from the United States to Africa. By May she was on patrol near the entrance to Fort‑de‑France, Martinique. 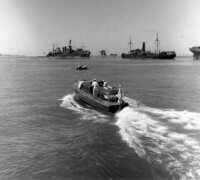 In January 1943 the cruiser flew President Franklin Roosevelt’s flag off Bathurst, Gambia, during the Casablanca Conference 14 to 24 January. The President and British Prime Minister Winston Churchill outlined plans at that time for the invasion of Sicily and Italy. 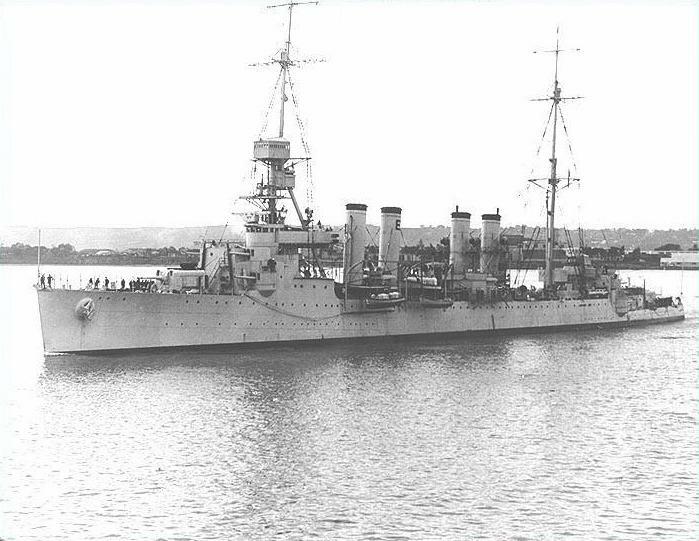 From February to September, Memphis was once more on patrol duty against blockade runners, mostly off Bahia and Recife, Brazil. President Amenzoga of Uruguay, and President Getulio Vargas of Brazil toured the ship in January 1944 while their countries continued to give valuable aid in blockading the “Atlantic Narrows”.